Hope you're all well! If you follow me on Instagram and Twitter you probably have noticed that I've gone a bit healthy living and exercise mad! It all started 2 months ago when I tried slipping into an old dress that has always been my measure when it comes to weight and well being. I've had this dress for years pre-uni, as a classic LBD it will never go out of style. To my horror it just didn't fit anymore...at all. After a total meltdown I signed up for the gym and vowed to get healthy. Not to say that my diet was extremely bad but in hindsight, the bad did outweigh the good and I just had too many cheeky meals and desserts! The first few weeks were TOUGH. I mean, why would anyone want to do this to themselves. Get up early and go to the gym? I'm not going to lie to you - If I weren't paying for it or the membership in terms of money meant nothing to me...I would've gone the first time and that would be that! Another thing that kept me going was work colleague of mine who introduced me to weight raining. All of a sudden it wasn't about getting thin and skinny but strong and healthy. Initially weight training toned me up quick time, it wasn't until I found the perfect balance between weight training and cardio where I really really started to feel good! As coincidences go, I was approached by the lovely Natalie over at GetTheLabel to take part in their #StayFitDontQuit campaign! - It couldn't have come at a better time! 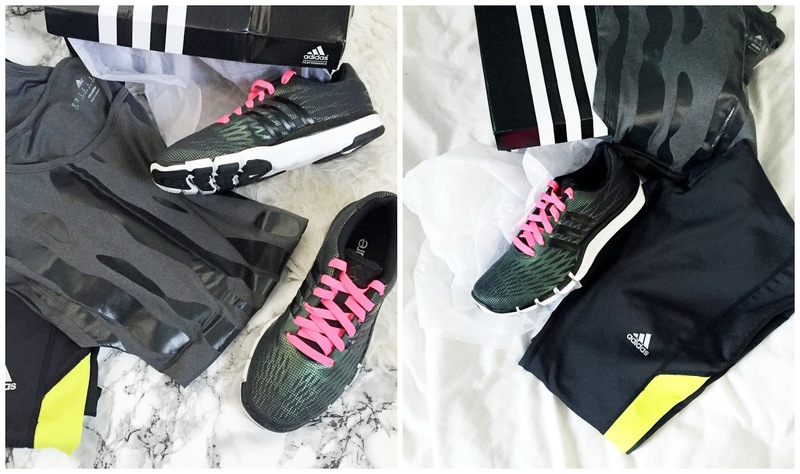 GetTheLabel was so kind to kit me out with workout gear, Trainers and 30 days of Bikram Yoga! 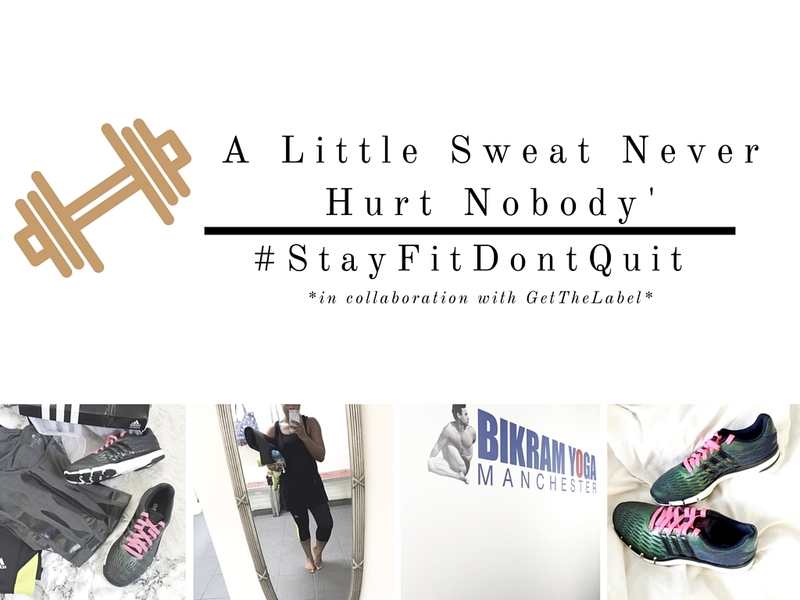 I remember being obsessed with Bikram when I was living in Berlin so I had an idea of what to expect. One thing that I remember all too well is feeling SO GOOD after every session. I received a 30day pass to the Bikram Yoga Centre in Manchester. 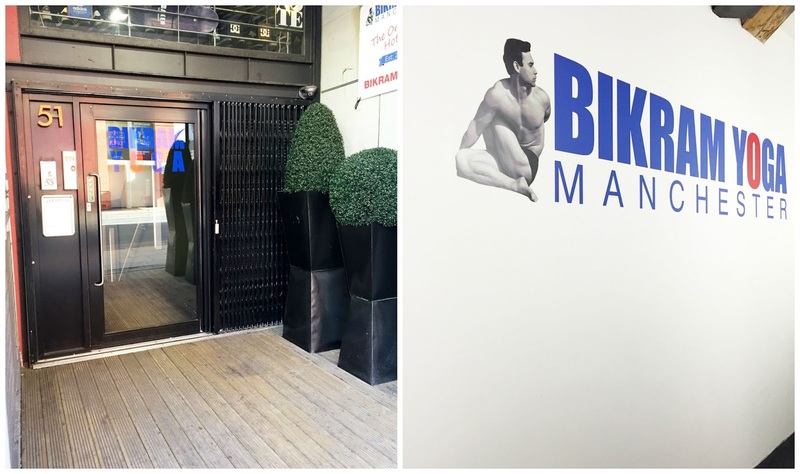 Bikram Yoga Manchester is located in the northern quarter just a stone throw away from the city centre. The facilities are absolutely brilliant. From the minute you enter you're greeted by warm faces at the reception and everything is thoroughly explained to you. As you can see from the images above everything is kept clean and tidy plus I'm loving the interior. 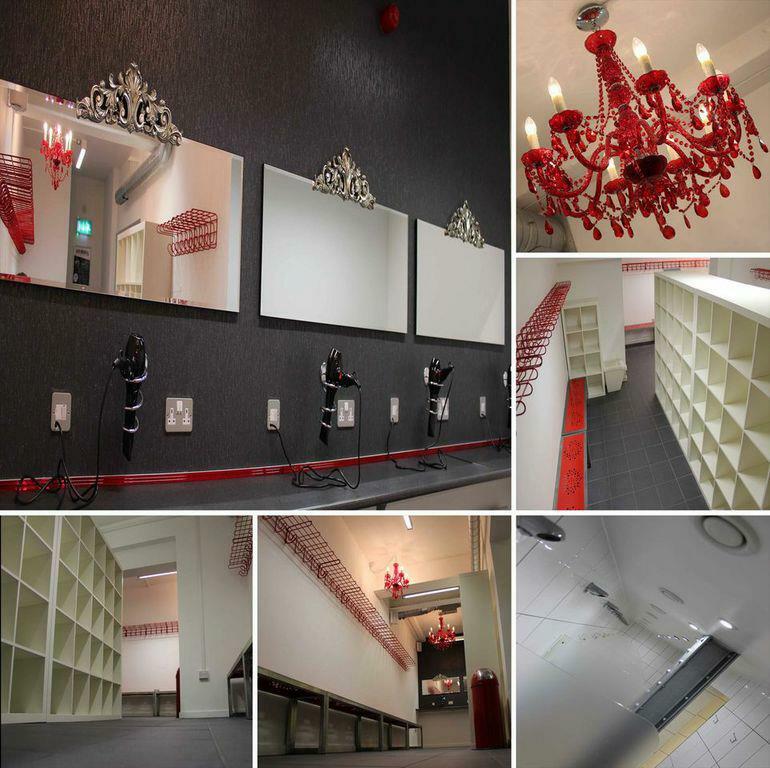 Mats and towels can be hired for £1 each, to keep your valuables safe lockers are situated just outside the changing rooms. My second and third class on the other hand were quite difficult and hard. The heat seemed unbearable and I solely concentrated on staying in the room for 90 minutes. I don't know what happened but my 4th session reminded me of how much I loved it back then, I just loved every minute of it! Hydration and a clear mind really seem to work for me and prepare me well for 90 minutes of intensive sweating. I'm looking forward to every new class now. I'm midway trough my 30 days of Bikram yoga and will definitely keep you updated how it goes. So far, I'm definitely experiencing the benefits of regular exercise and healthy eating. As they say it takes 21 days to form habit so I have a few days to go! What are your favourite workouts? Do you agree - I'd rather be strong and healthy than skinny and thin?